1. 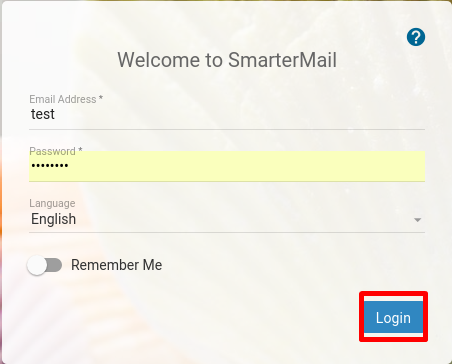 From your computer that has Microsoft Outlook installed, log in to the SmarterMail web interface. 2. 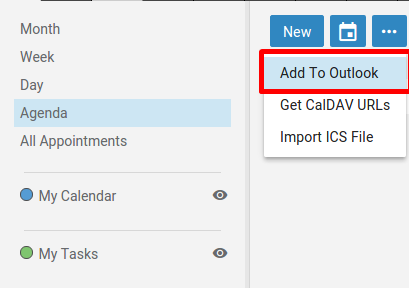 Click the Calendar icon. 3. 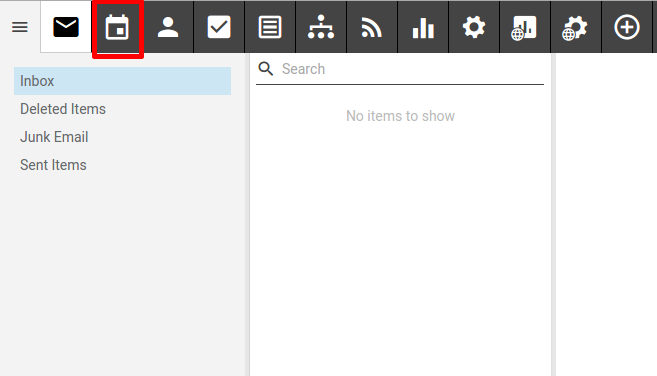 Click the Actions menu and then Add to Outlook in the navigation pane toolbar. 4. 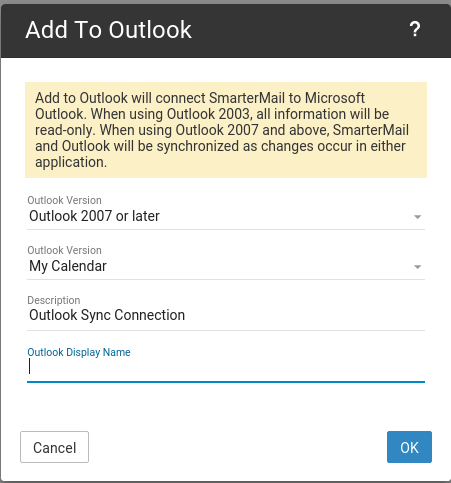 This will open a new window that contains details about the connection you are about to make with Outlook. You may keep the default description and display names or type your own in the appropriate fields.